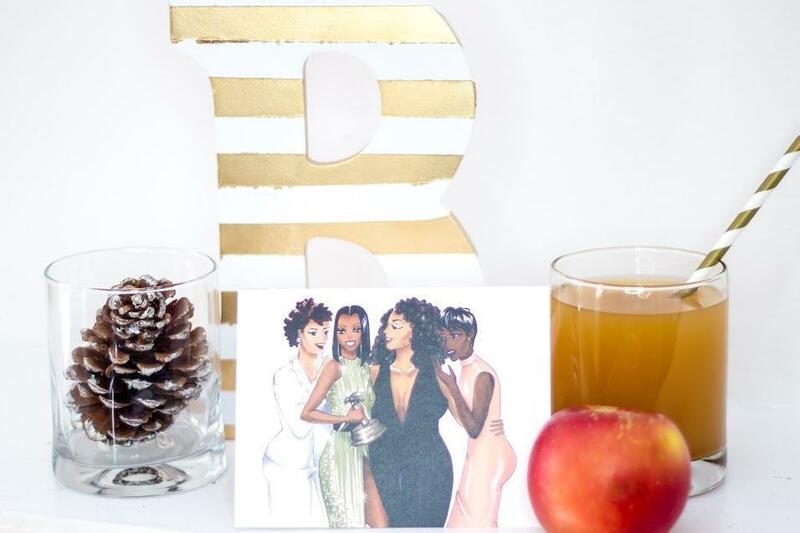 5 Black Women-Owned Businesses I’m Supporting for #BlackFriday – Giselle Ave. Happy Thanksgiving week, y’all! I can’t speak for anyone else, but I am too ready to gather around the dinner table on Thursday and take part in good conversation, infectious laughs and delicious eats. I’m also going to whip up a few dishes and try not to burn my house and everything I love down in the process (#fingerscrossed). It’ll be an adventure for sure. Do you know what I look forward to even more than home-cooked meals, though? If you said #BlackFriday, you guessed right. Ever since I was younger, I’ve loved waking up at the crack of dawn, throwing on something casual like sweats or leggings and making a mad dash for my favorite stores. But, in the spirit of keeping it real, I’m not feeling Black Friday this year as much as I usually do. This weekend will be my first major holiday since I lost my mom, which is super difficult in and of itself. But also, with the current political and racial climate in this country, I’m just not as eager to head out and spend my hard earned dollars supporting organizations that don’t have the interests of men and women who look like me in mind. Why should I pad the bottom line of retailers run by individuals who turn a blind eye to our plight while cashing in? African-Americans have a collective buying power of more than $1.1 trillion, so imagine what would happen if we withheld our funds and decided to show solidarity to the ones that are for us, by us and represent us in ways that others won’t. There is no limit to what we could achieve. And with black women alone owning around 1.3 trillion businesses, roughly 14% of all businesses owned by women, I have decided to put my money where it counts and support black women doing the dang thing and doing it well. It is so fulfilling buying into the dream of another young entrepreneur. Plus, I always feel 1,000x more motivated to continue pushing to secure my own goals when I see another woman excelling at hers. As a writer, I’m constantly on the hunt for vibrant and rich imagery of women of color to serve as a portrayal of me and my friends. Color me elated the first time I came across Bianca Lambert’s Mae B shop. An online destination that is “not only a source for beautiful stationery, but also a place that women of color know there is a person behind the brand that is always thinking of them,” I am in awe of the exquisite designs and beautiful shades featured on the paper goods. I have bought several items in the past and was always satisfied with my purchase. Take advantage of the brand’s week-long pop up shop with items including the above holiday card for just $5.25. I’m a huge proponent of self-care. Whenever I get a chance to be still, take a breather and clear my thoughts, I do. That’s why I love Haute Hope. Founder Jess’ belief in thoughtful gifts that can bring good to the world is the driving force behind the brand. And with just one box, you get all the essentials you need to be a better you. I was recently gifted the above basket, which includes soothing tea and honey, a refreshing candle and relaxation spray. 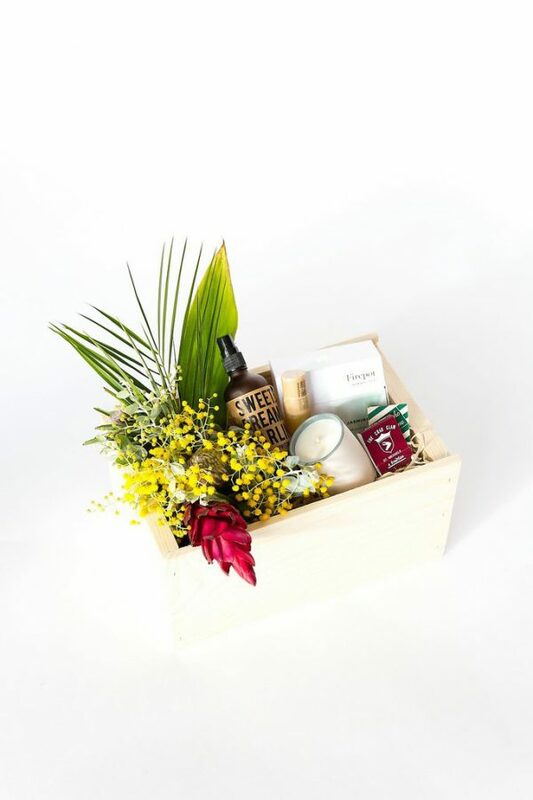 The basket is only $80.00 and proceeds from the purchase benefit some amazing causes such as the Bee Raw Save The Bees Fund and animal rescue initiatives. Get into it. While in the process of redecorating my bedroom, I was searching for the perfect accent pieces to really suit my minimalist taste when I came across Don’t Sleep Interiors. I’ve been hooked ever since. Inspired by artist Emory Douglas & designers Sheila Bridges, Joshua Kissi & Travis Gumbs of Street Etiquette, the brand started as a way to combine interior design with the rich culture of Africa into home decor. 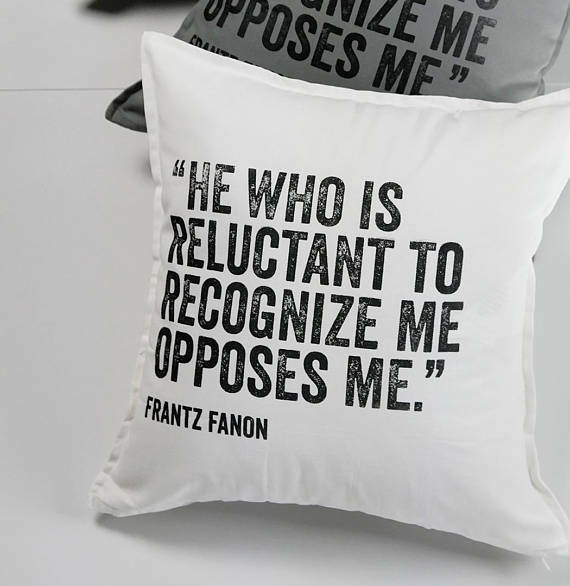 “The hope is that these pieces will not only add to the style of patrons’ homes, offices & businesses, but that they will also evoke meaningful conversations, promote free thinking, & encourage exploration into our collective past.” I am currently eyeing this statement pillow ($37.00) but pretty much every piece is worth copping. For years, my style motto was always the bigger, the better when it came to handbags. Until one day I realized the only items I ever carry are my cell phone and lip balm, and I really had no use for thirty million totes. That’s why I love Rachel Stewart. Not only does she hand-make intricate jewelry pieces, but her clutches, my faves, are to-die. They are the perfect size for the *ahem* two items I need to hold inside and they feature designs of popular moments in black culture. Love, love, love. 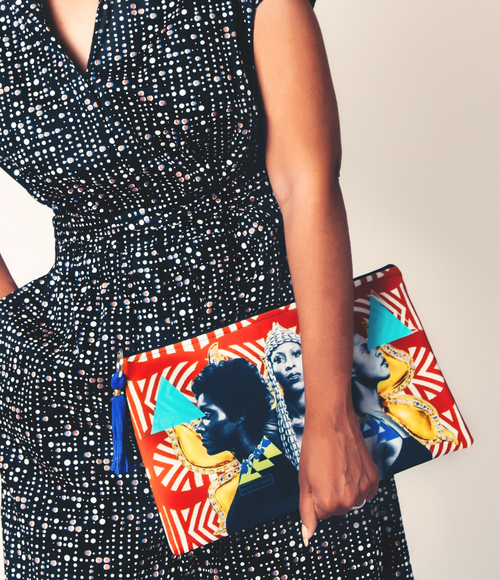 I’m obsessed with the above Marmalade clutch ($45.00) featuring the legendary group, Labelle. Putting it on my wishlist now! 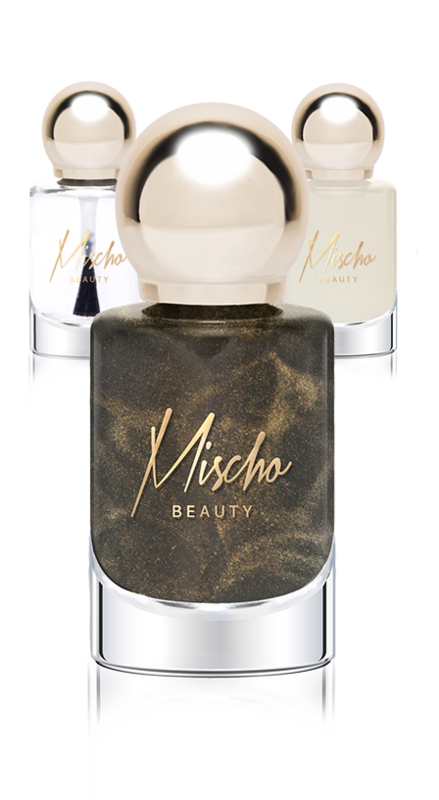 Y’all know I’m a girly girl so this list couldn’t possibly be complete without including one of my favorite beauty lines of the moment, Mischo Beauty. It is ideal for anyone who is super conscious of the ingredients included in the products they use. And this brand is the definition of aware. I’m talking vegan-friendly, cruelty-free, gluten-free and free from any artificial fragrances. Owner Kitiya King wanted to simulate clean luxury with richly hued nail lacquers that do no harm. I’d say mission accomplished. And because I love a fall shade that adds a little pop, I’m swooning over this Sans Souci set ($51.00). Gorg. Are you excited for Thanksgiving? What about Black Friday? Where are you shopping? Supporting any black-owned businesses? I can’t wait to hear all your plans in the comments below! Pingback: The 6 Black Women Who Are Moving Mountains in 2018 – Giselle Ave.